The November 2016 election and its aftermath have generated significantly more interest in—and hopefully awareness of—not just individual rights, but also of American constitutional structures and processes. In that regard, one of the most important topics people are discussing these days is federalism—the relationship between states and localities, on the one hand, and the federal government on the other. The reactions various cities and states have had towards announced or proposed federal policy have been forceful and often aggressive. 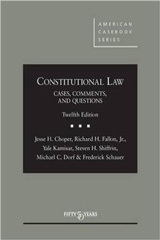 Examples include: the sanctuary jurisdiction movement; measures by various states to try to force presidential candidates (including and perhaps especially Candidate Trump, should he run again) to disclose tax returns as a condition of state ballot access; and the recent letter by California Supreme Court Chief Justice Tani Cantil-Sakauye to federal authorities complaining of what she saw as federal agents’ “stalking” of state courthouses to apprehend individuals in the U.S. in violation of immigration laws. One important legal line that runs through many of these federal-state disputes is that between non-assistance and affirmative interference. 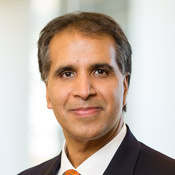 Properly and narrowly understood, the decision of sanctuary jurisdictions to decline to lend certain kinds of enforcement assistance to federal immigration authorities might, as I wrote in a previous column, very well be protected by the so-called anti-commandeering principle reflected in New York v. United States and Printz v. United States, assuming those cases remain good law and assuming they apply in full force to the immigration enforcement setting. 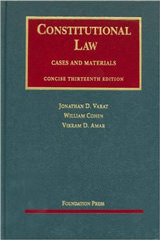 But even under the broadest readings of New York and Printz, state and local authorities have no right to interfere with federal immigration enforcement, say, by harboring individuals sought by federal authorities, impeding access to such individuals by federal officials, or providing false information to the feds. In a similar vein, although Chief Justice Cantil-Sakauye is well within her rights (and acting well within the tradition of the political safeguards of federalism) to complain about what she sees as federal overreaching, if state court marshals were to interfere with or try to block federal officials in public areas in and around state courthouse facilities, such action by state officials would not be protected, and indeed would conflict with the Constitution’s command that federal law (and enforcement of permissible federal enactments) be supreme and respected by all state officials. How will this enactment and similar laws passed at the state or local level fare in court? Like all unripe legal questions, the answer to this one depends on several factors. But assuming that any federal program to actually build a wall receives the required approvals from Congress, my instinct is that state and local governments will not be permitted to target entities or individuals who are assisting the federal government in the program. It is true, of course, that state and local governments have tremendous control over their own fiscs; state and local governments have more leeway with regard to their spending than with regard to their regulatory power, which is why they can give preference to local businesses in public procurement decisions even as they cannot subject non-local businesses to discriminatory regulations. (Thus, it would be a no-brainer if a city said companies that do business with the feds on the wall or more generally cannot do business in, as opposed to with, the city.) 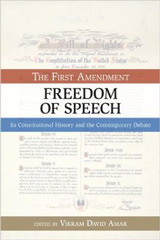 But even as to spending discretion (and putting to one side any First Amendment type of claim that a federal contractor might make that it is being discriminated against by state or local authorities based on viewpoint), the Supreme Court has, I think, clearly suggested that federal supremacy principles would override local autonomy here. It was under this test that a unanimous Supreme Court in Crosby v. National Foreign Relations Council at the turn of this century struck down a Massachusetts law that prohibited the state from doing business with companies that themselves did business in Myanmar, presumably as an attempt to pressure Myanmar into human rights reforms. The problem with this law, said the Court, is that it effectively made it harder for the president, pursuant to authority given by the Constitution and congressional enactment, to negotiate with Myanmar and have the nation speak in a single voice. And this was true even though Massachusetts was in some respects acting “passively” by merely selectively withholding its dollars, and even though Massachusetts, generally speaking, has broad discretion as to its business partners. I think the same analysis would likely doom the Berkeley law and similar enactments. Assuming, again, that the federal wall is something as to which the president has lawful authority from Congress and/or the Constitution, there is no doubt but that the efforts of cities and states to deter individuals and companies from working with the federal government would stand as a non-trivial obstacle to the accomplishment and execution of the full purpose of erecting the wall. Indeed, one of the very reasons Berkeley and other jurisdictions are considering these measures is precisely to make it harder for the wall to be built—that is, for the federal objective to be accomplished. In this respect, the Berkeley law seems easier to invalidate than the Massachusetts law; in Crosby, the state could at least make the argument that its goals were generally in alignment with those of the federal government. Taking a step back, I think this result makes big-picture federalism sense. In the famous Bank of the United States McCulloch v. Maryland case, Chief Justice John Marshall, in striking down a tax Maryland targeted at a valid federal entity, the national bank, observed that the “power to tax involves the power to destroy.” But the power to regulate, employ and provide benefits also involves such a power. Imagine that McCulloch had instead involved a state law that prohibited any persons employed by the national bank from ever being eligible to attend public schools, be employed by state or local government or receive other public benefits in the state. Certainly Maryland could not attack the Bank indirectly by attacking its people/employees. And if a state can’t attack employees of the federal government, neither should it be free to attack contractors, which are in effect substitutes for federal employees themselves. That leaves us with the only possible basis for state authority in this realm being spending discretion. But as the Crosby case shows, spending power discretion, while broad, is not immune from a supremacy-focused inquiry into intended or likely impediment with federal objectives. When state and local governments create policy discriminating against federal contractors, they are not simply withholding assistance to the feds, but instead are affirmatively trying to make it harder for the feds to find third parties to implement national programs. More generally, I think whether we are talking presidential election reform or federal-state relations, we should always remember that the rules and doctrines we forge must apply equally well regardless of which political party or ideology is in control in the White House; federalism doctrine, if it is to have integrity, should take federal supremacy just as seriously when the feds seek (whether wisely or not) to build walls as when they seek tear walls down, say, by ending racial segregation or facilitating marriage equality.